Marketer inclusion of connected television into their media mixes is a curious tale. Long gone are the days when campaigns can afford to waste countless impressions on the wrong audiences. Strained by an ever-increasing demand to drive measurable results for the businesses they represent, most marketers have flocked to highly targeted and measurable channels. Yet, connected television advertising adoption is lagging. Much as was the case with mobile, television ad spend share is trailing years behind viewership patterns that increasingly shift toward connected televisions. Indeed, while 60% of the population is expected to soon be regularly viewing content on connected televisions, marketers have been slow to shift budgets accordingly. Why is that? According to recent study on connected television advertising, a few factors are at play. First, historical associations and expectations must be shattered. For decades, television advertising has been viewed as a relatively expensive brand awareness tool capable of delivering high impression volume over short periods. However, the reality for connected television campaigns is quite different. Simply put, connected television doesn’t yet offer the scale of traditional television. It does, however, offer far better targeting and measurement capabilities. Instead of focusing on impression volume, savvy connected television campaigns — particularly those leveraging addressable television — focus on impression quality and its impact as part of a broader omnichannel campaign. When KPIs focus on actual performance metrics over mere impressions, connected television campaigns fare well. However, the itch to show impression volume remains for many, resulting in a frequency problem. Simply put, marketers are so focused on volume that their campaigns are being over-served to the same users over short periods of time, creating diminishing returns for each impression. Even when campaign KPIs are set based on realistic expectations for connected television advertising, measuring delivery against those goals proves to be an inhibiting factor for many. 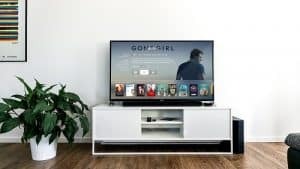 Indeed, according to a survey earlier this year, 35% of marketers stated that lack of reporting uniformity was impeding their foray into connected television, and 43% felt the same way about addressable television. Granted, part of the reporting incongruity lies in the disparate ways marketers are forced to buy their connected television inventory. While some inventory is available programmatically, some supply partners still require direct deals. In the end, marketers are left with a pile of reports and no time to sort through them in a way that compares disparate efforts equitably. It’s a headache marketers don’t deserve. In the short term, there are workarounds. Some marketers are limiting their connected television buys to a single partner, often an omnichannel DSP that offers reporting that is at least aligned with their efforts across other channels. Meanwhile, others turn to agencies to make sense of their efforts across a myriad of connected television buys. In the end, connected television deserves a place in media strategies that stands free of the impression expectations of its predecessor, and marketers deserve better reporting to understand how our largest screens deliver against more meaningful campaign goals. Fortunately, the shift toward programmatic television gives cause for optimism. What KPIs are you optimizing toward in your connected television advertising campaigns, and what reporting struggles have you faced? Can we help you with this? We’d love to! Contact us here to chat about how to make connected television work for your business without the headache.